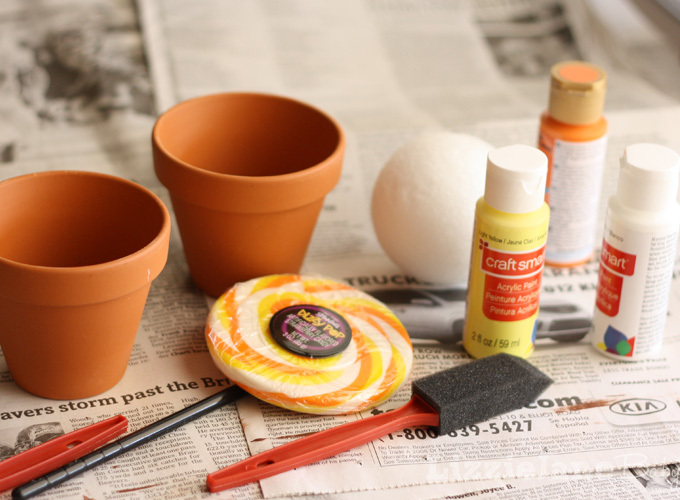 Liz of Lizzie Jane Baby, a fellow Arizonian crafter, is here today to show us how to make candy corn painted flower pots. This is a perfect craft for the kiddos to help with! Don’t forget to link up your Halloween crafts, recipes and decor HERE. 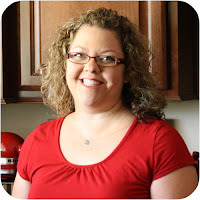 Hello See Vanessa Craft readers! 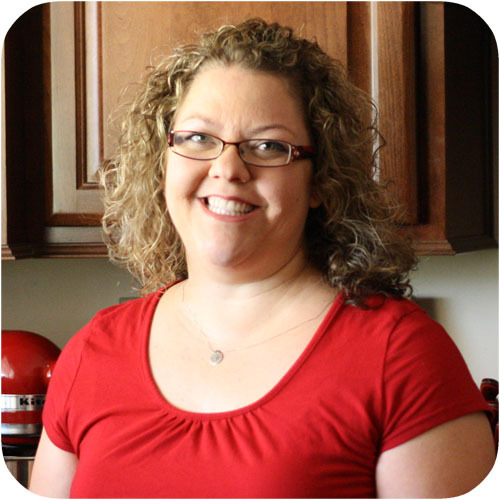 Liz here from Lizzie Jane Baby. I can’t thank Vanessa enough for inviting me to participate in 20 crafty days of Halloween! There have been so many fun projects so far! 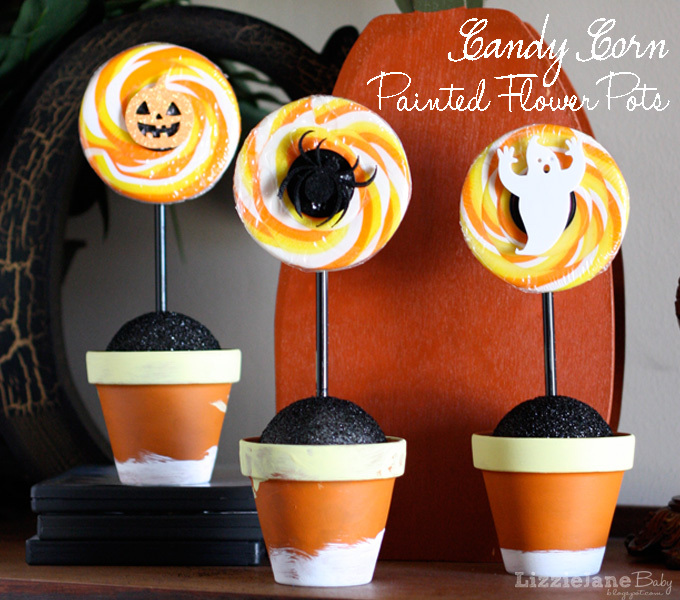 Today I’m sharing these candy corn flower pots and they are a great project to make with your kids. Here is how you do it. 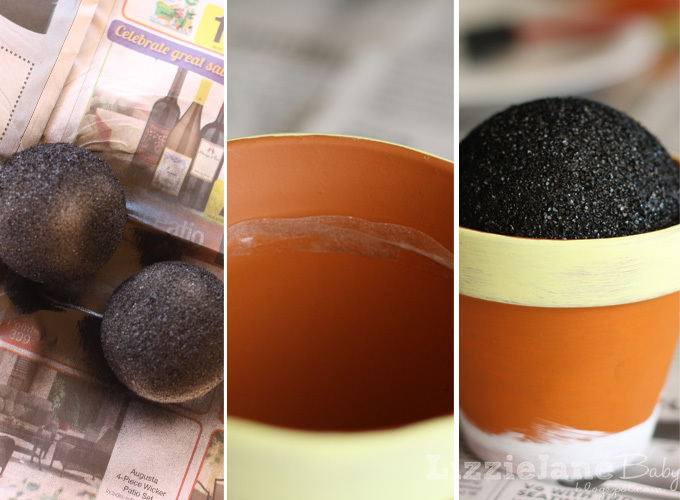 Step 1: Paint your pots. Here I have my son demonstrating how simple this step is. We first painted the middle section orange and let it dry. 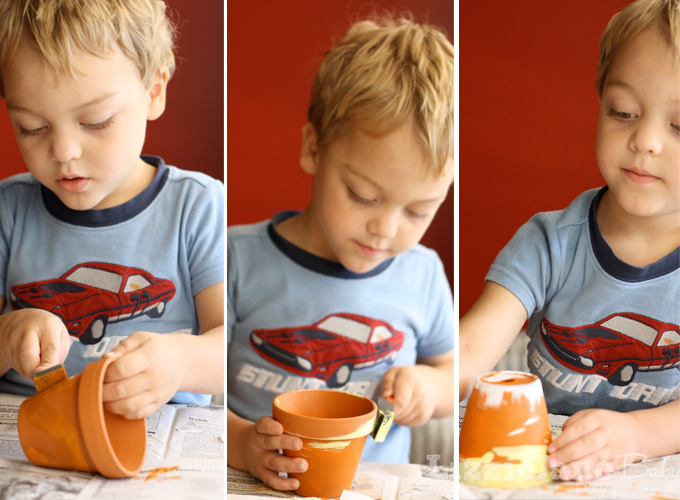 Then we painted the rim of the pot yellow. Once that was dry, we turned it upside down and painted our white along the bottom edge. Step 2: Set your styrofoam inside the pot. I first spray painted my styrofoam. I had black paint so that is what I used. Plus the sticks on my lollipops were black, so that’s what I went with. While they are drying, put some double sided tape in the pot along the edge about 1 inch down from the rim. Then you can gently push your styrofoam into your pot and not be afraid of it moving of coming out. Step 3: Insert your lollipops into your flower pot. 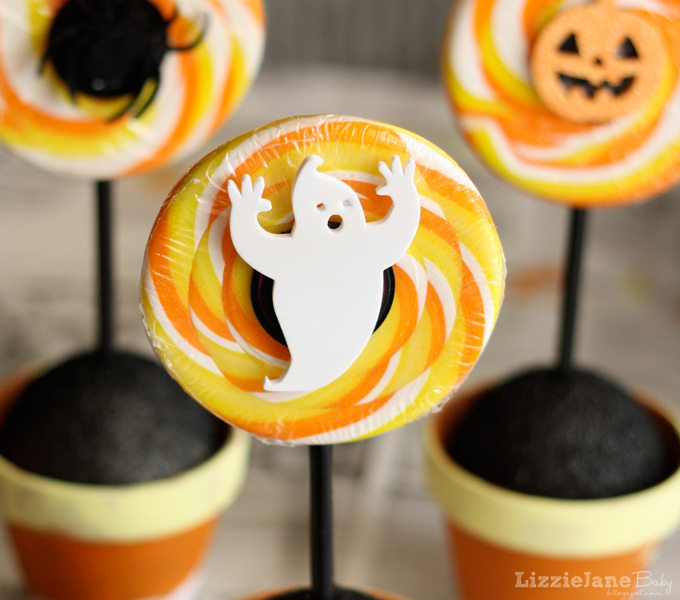 I found these candy corn colored lollipops at dollar tree and that is where the inspiration for this project came from. I let the kids each pick a Halloween embellishment and we stuck it to the front of the lollipops. Then I inserted them into the middle of the styrofoam ball and pushed them down until I liked the height. My son was able to do the painting all by himself and little miss needed a little help from mom, but they both loved this craft. I’m sure glad I had those lollipops to stick in there, or else Mr. C would have taken it outside to find some flowers to put in there. 🙂 Which you could totally do and would be a cute gift, or you could fill them with candy. Thanks again Vanessa for having me over today! Happy Halloween everyone! Thanks for having me Vanessa! Can’t wait to see what’s in store for days 19 and 20!! !